The latest Project Gutenberg release derived from images in our Digital Library is another novel by prolific British author Charles Garvice. 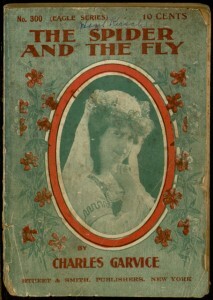 Like many of Garvice’s works, The Spider and the Fly is a romance dealing with the British upper class of the late 19th century. However, for this one, a few extra elements have been thrown in to spice the mix: a fishing village with a secret, a mysterious ghostly nun, and an escaped convict with a talent for manipulating everyone around him. The resulting blend of mystery, intrigue and romance may not be a work of high literature, but it does help demonstrate why Garvice was so popular in his time. 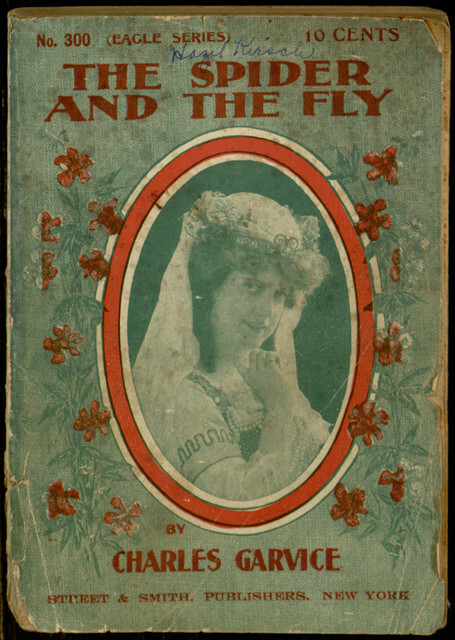 The entire book can be read online at Project Gutenberg, where it is also available for download in popular eBook formats.